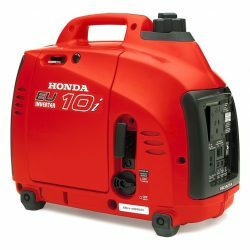 Our newest portable generator, the EU22i, is 10% more powerful than its predecessor, whilst remaining just as light and as quiet as before. 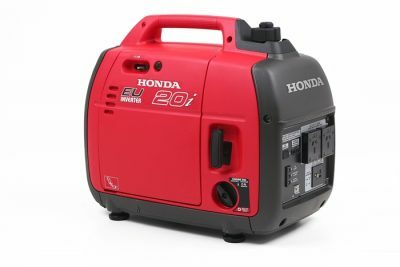 The number one portable generator, the EU22i, features a microcomputer-controlled sinewave inverter that guarantees commercial-quality electricity – making it ideal for use with frequency-sensitive electrical equipment such as laptops and home computers. 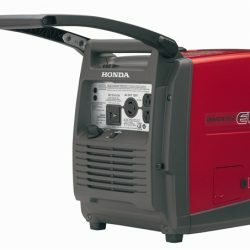 Honda’s 4-Stroke engines eliminate the need to mix fuel and oil, which saves you time and money. 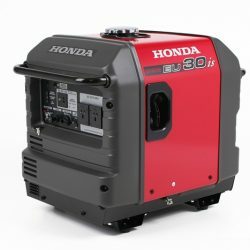 They also provide superior fuel efficiency and emit significantly less carbon and noise than most of their two-stroke counterparts, so you’ll breathe easier with the EU22i. Plus, the handy ‘fuel off’ feature’ allows you to idle the unit until the fuel in the fuel lines has been used. 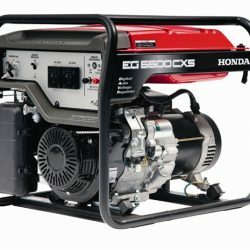 This means that you can safely store your generator without any stale fuel still inside. The EU22i starts ‘first time every time’ with Honda’s reliable one pull easy start system. It’s environmentally-friendly with low emissions, less noise and lower fuel consumption than its two-stroke counterparts, and can run up to 8.1* hours of continuous operation on a full fuel tank. 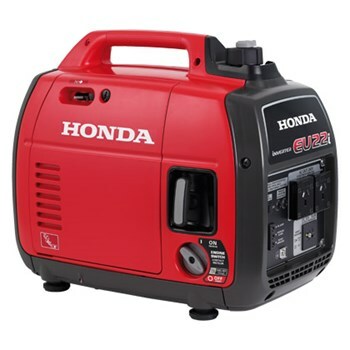 Lightweight (21kg) and whisper-quiet (53dB**), the EU22i is the flagship generator of the portable power industry.